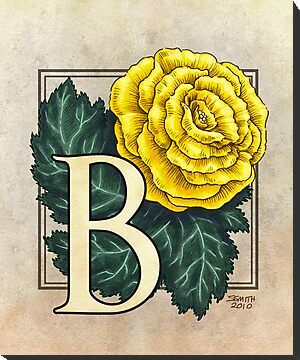 All summer I’d been planning on drawing an alphabet of flowers  I even posted the “sketch” versions here already. Now the final drawings are taking shape, and as I finish each one I’m posting them to my RedBubble site, as prints, cards, T-shirts and stickers (stickers are one of the options within “T-shirts”… yes, I know it doesn’t really make sense but there ya go) I have about half of them drawn on paper, and the first batch are scanned and being colored. Speaking of RedBubble, they’re having an excellent sale on calendars this week, more details in the next post…. 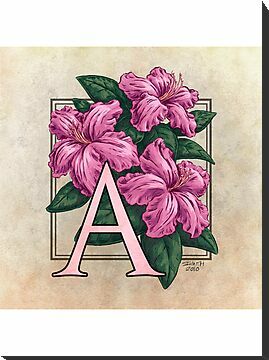 This entry was posted in alphabet, Finished drawings, flower, sale by stephanie. Bookmark the permalink.